The Al Sturgeon Law Firm, founded in 1991, practice exclusively in Workers’ Compensation (workers only). 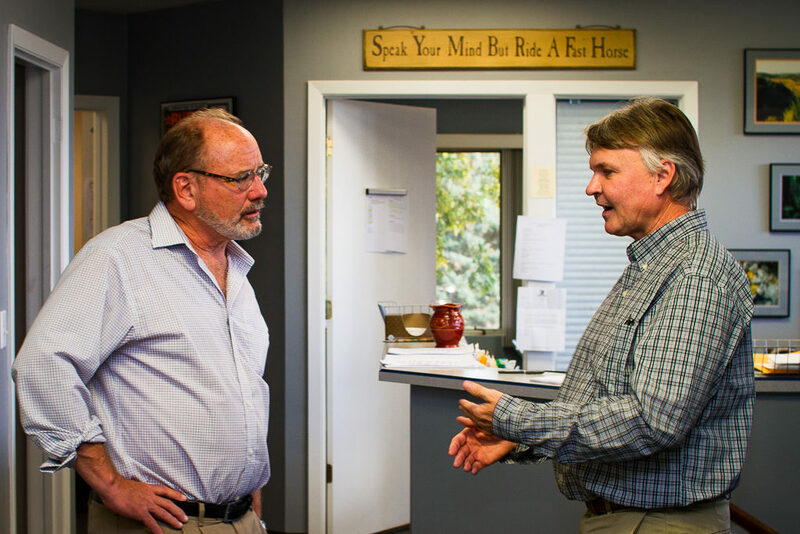 With 21+ years of experience in this area of law, the Al Sturgeon Law Firm brings a wealth of experience to injured workers. The Al Sturgeon Law Firm will never charge you just for talking to you. Never have, never will! The Al Sturgeon Law Firm has a 25% contingency fee if we take your case. Many attorneys charge 33-1/3% or more. In over 21 years of practice, that has never changed and never will! Al Sturgeon Law Firm only represents injured workers, never the insurance company. Never have, never will ­­–we are on your side. Paralegal Gina Heimgartner has been with the Al Sturgeon Law Firm since 2009 and involved in the legal field since 1992. When you call our office the voice you hear will be Gina’s. The office is conveniently located at 911 6th Street, Sioux City – one block East of Mercy Medical Center. The firm is located in a two story building with ample free parking on site. We never, ever charge for conversations! Question: If I come to the Al Sturgeon Law Office to talk about a workers' compensation case will I have to pay an hourly fee for advice? Answer: Absolutely not. The firm never charges anybody for a consultation. If we take your case, our fee is based on a 25% contingency on whatever benefits we help you get. This fee never goes up throughout your case. Question: What happens if I pursue a workers compensation claim and I do not get an award for benefits? Answer: The attorney receives no fees as well and no attempt will be made to charge you for the expenses.